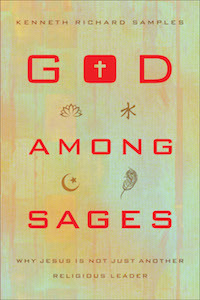 God among Sages: Why Jesus Is Not Just Another Religious Leader is an interesting book which introduces people to the variety of major religions of the world from a Christian perspective. Samples compares Jesus with the other major religious leaders/founders who are worshiped in today’s world. He lays out some good arguments from the Christian perspective, but without further reading he does make some leaps/assumptions not everyone may agree with. Personally I didn’t have much opposition to what he wrote, but I can certainly see how people may. If your are looking for an introduction to other religions from a Christian perspective, to see how Jesus “matches up” against other religions, this book is a good place to start.